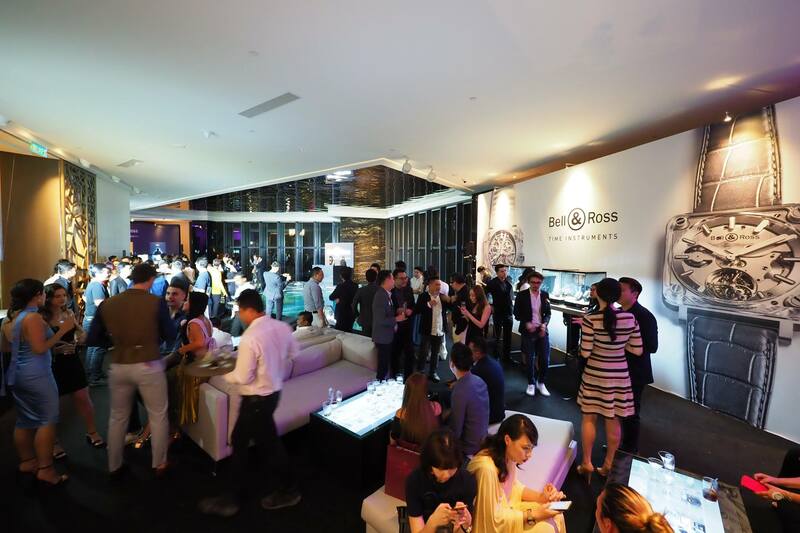 Bell & Ross previewed its latest timepiece, the next generation – BR-X2 Tourbillon Micro Rotor at a cocktail and party at the new Element Hotel Kuala Lumpur by Westin on 27 July 2017. 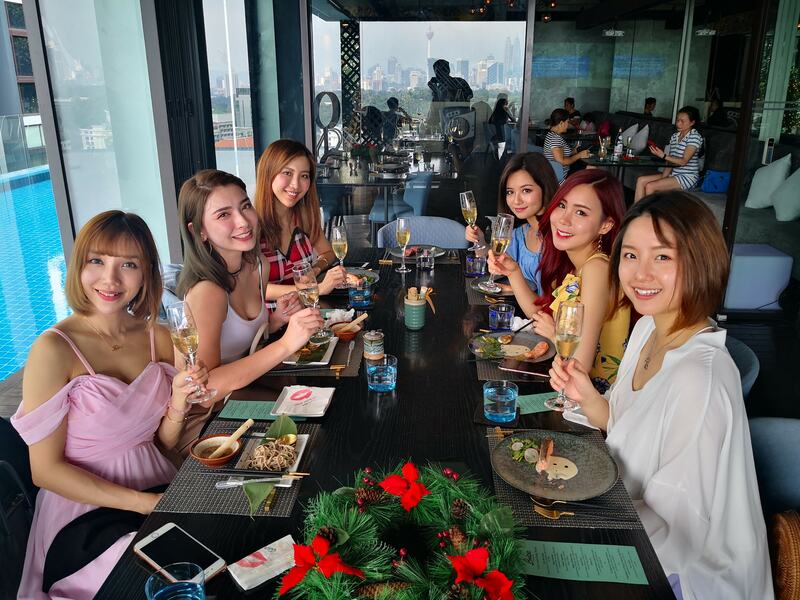 The event was an exclusive affair for VIPs, celebrities and media, and was held on Level 39, which offered guests amazing views of the KL skyline. 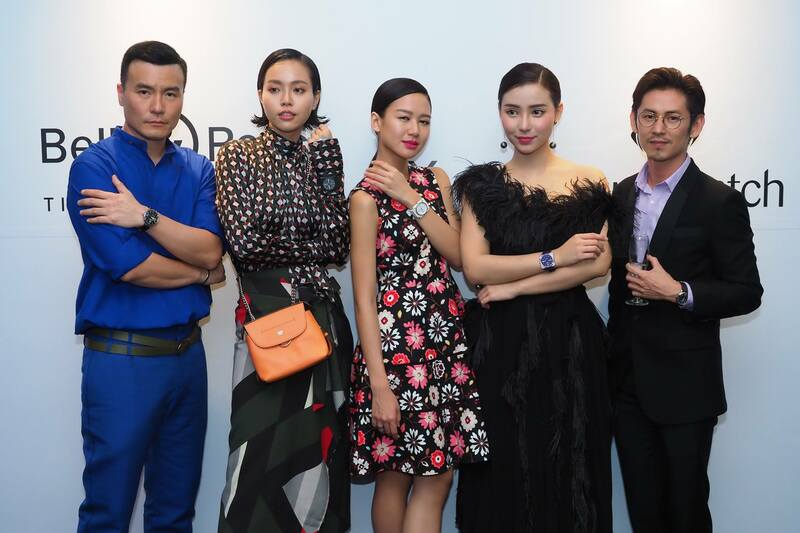 Guests got a sneak peak of the next generation BR-X2’s automatic mechanical movement called the caliber BR380 which is developed and manufactured to be square and thin. The BR-X2 is not housed in a traditional watch case, but rather is framed inside a solid plate stainless steel holder as thin as the movement itself. 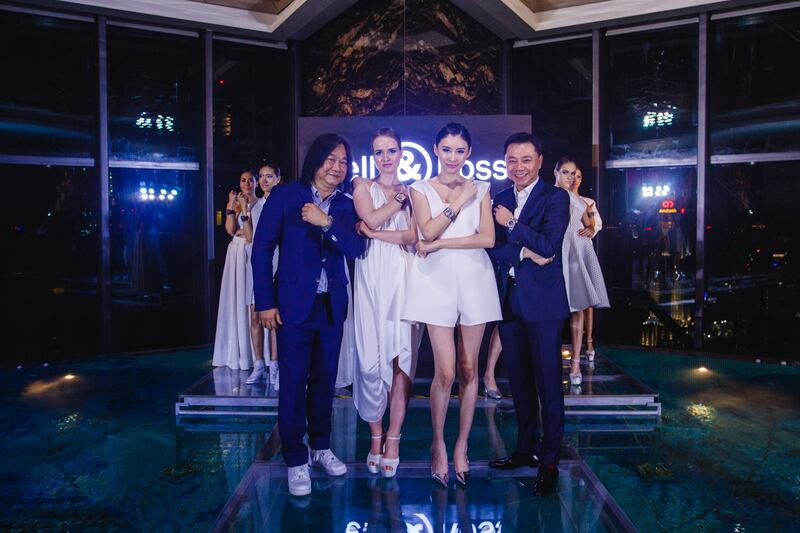 The case is 42.5 mm in diameter and made with satin-polished steel, and is water-resistant up to 50 meters. 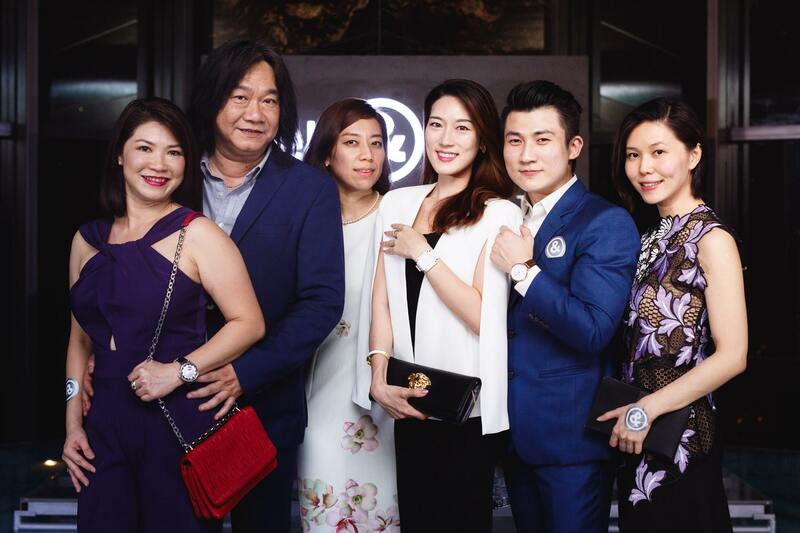 A sapphire crystal with anti-reflective coating lies atop the dial while a grey alligator strap completes the piece. 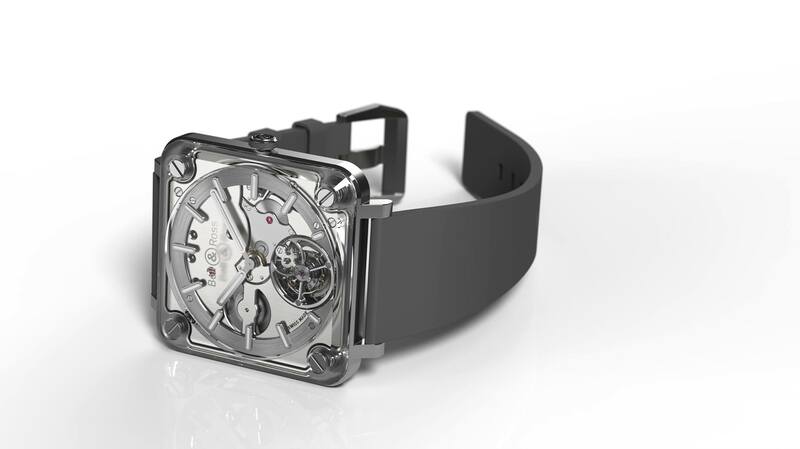 The BR-X2 Tourbillon Micro-Rotor is priced at RM284,000 and is a limited edition offering of just 99 pieces. 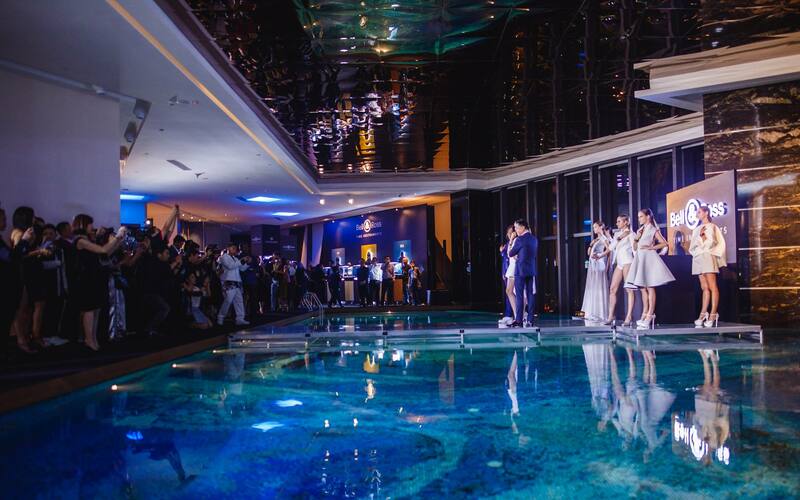 The setup and decor of preview event on Level 39 of the new hotel mimicked BR-X2’s transparent look, complete with a custom-built see through stage over the pool where models sashayed on it showcasing the new timepiece. 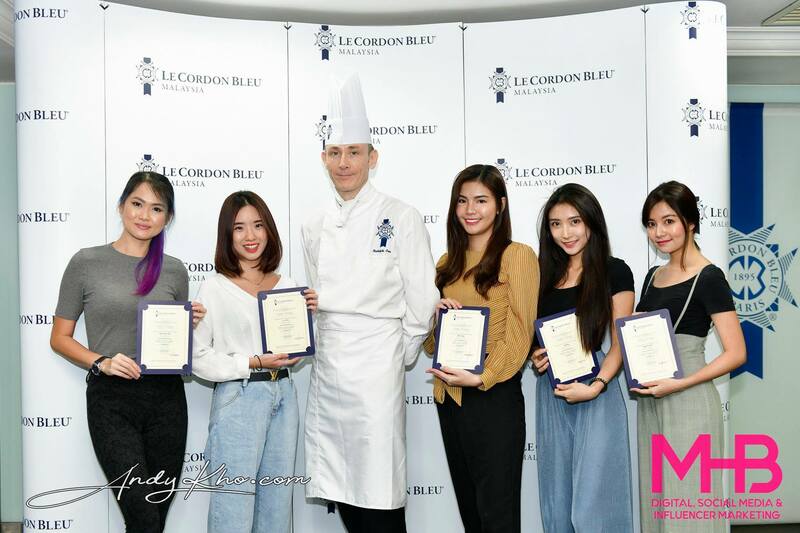 Among the guests at the cocktail were the elite of society and numerous socialites. 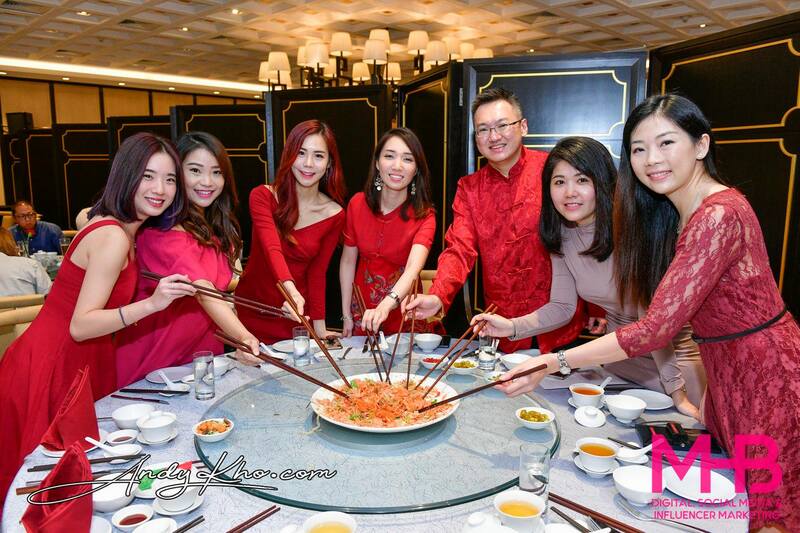 Pictured above are Chery Wong, Tong Chee Wei, Jeong Hwa Jang, Jennifer Jung, Kent Ong, and Michelle Tham. 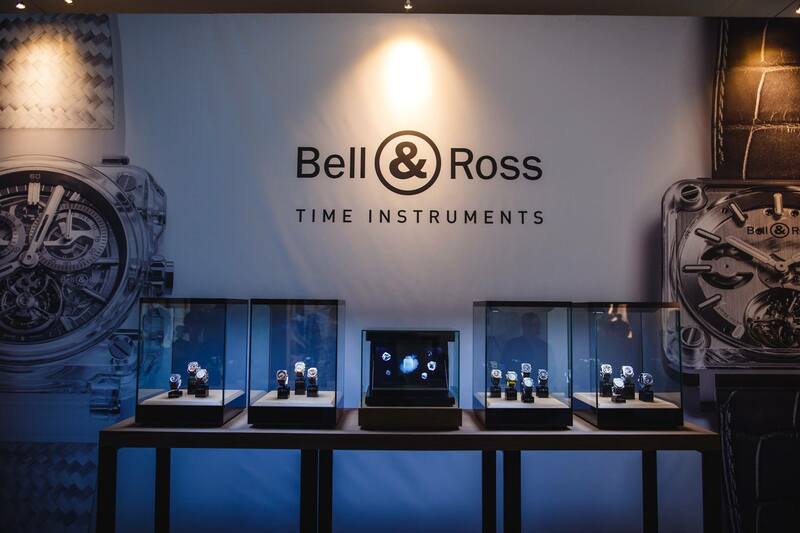 Bell & Ross also announced its month-long lifestyle pop-up store in collaboration with Cortina Watch, from 1 to 31 August 2017 on Level 1, Suria KLCC. 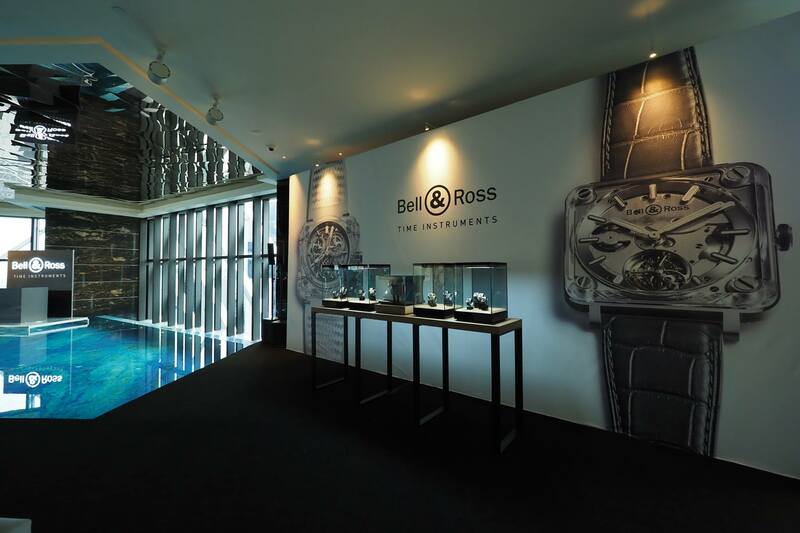 The pop-up store will see an exhibition showcasing BR-X2 Tourbillon Micro Rotor and the full collection of the BR-X1. The BR-X1 is a high-tech chronograph with a sporty design, which is as robust as it is sophisticated, making it a revolutionary a top-of-the-range contemporary sports watch which the brand regards as the “Ultimate Utility Watch”. 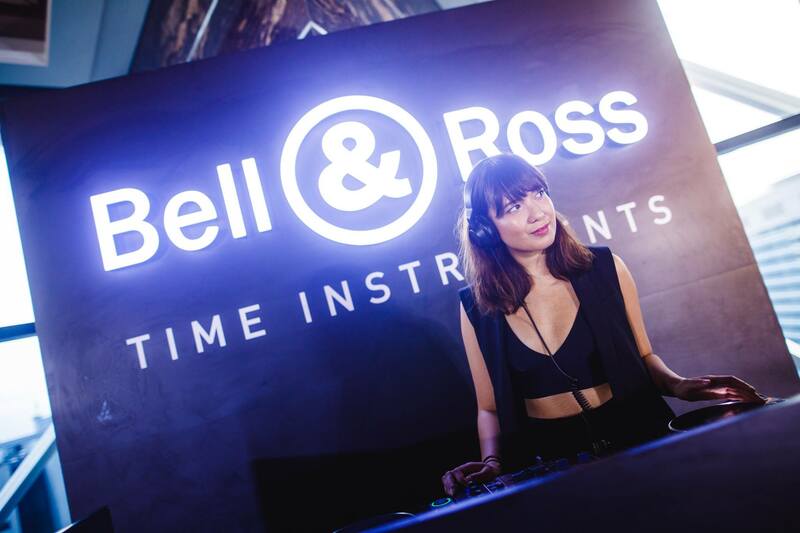 Photos courtesy of Bell & Ross Malaysia.